“EESH, it smells like vinegar,” she complained. 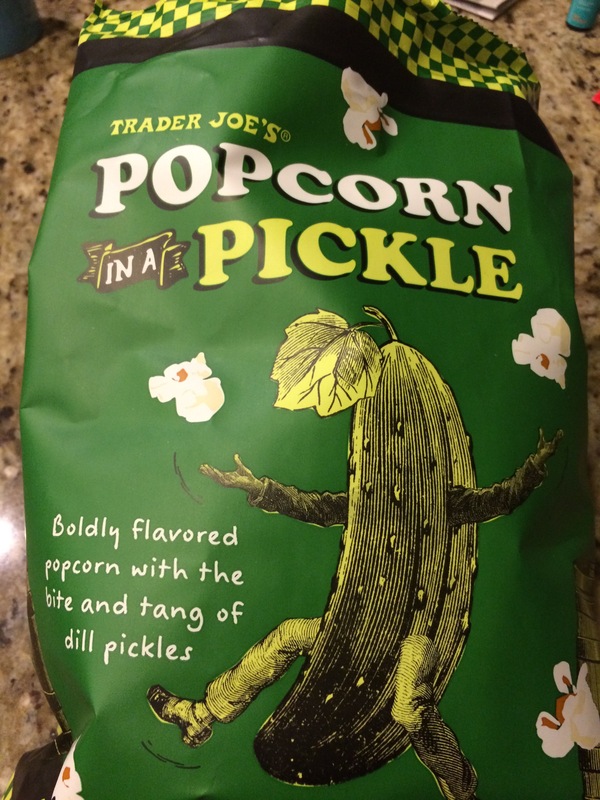 If you like “Salt ‘n’ Vinegar” style potato chips, you might like Trader Joe’s new pickle flavored popcorn. The Girl talked me into picking up this product as it caught her eye in a Trader Joe’s the other day. “Go on, buy it and we will put it on your something-new-every-day blog,” she persuaded. Oddly enough, The Husband thought it wasn’t all that bad. 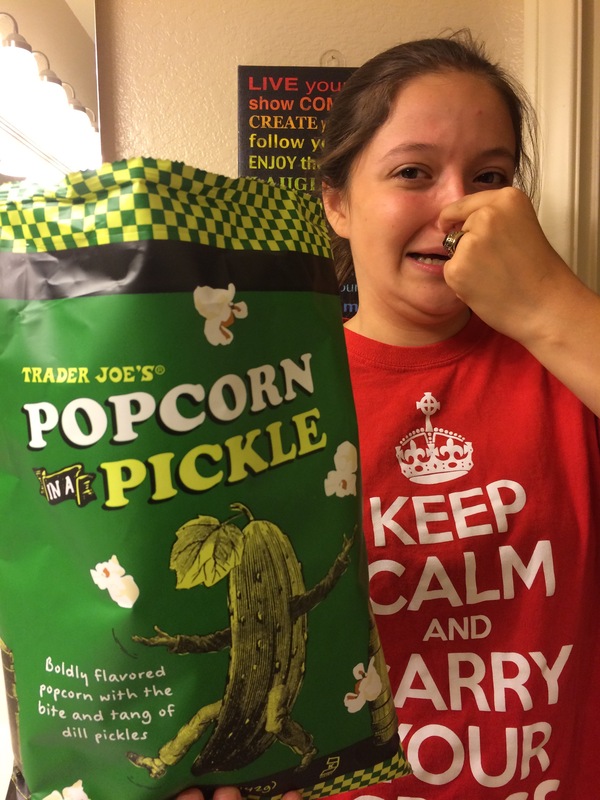 “But I like Tabasco Sauce on my popcorn, too, remember,” he so helpfully supplied. Our opinion? Nope. A big, fat nope.